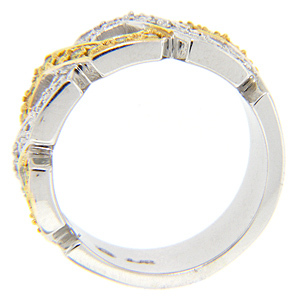 A curving design of yellow gold and yellow diamonds is interwoven with white gold and white diamonds on this 14K gold modern wedding band. 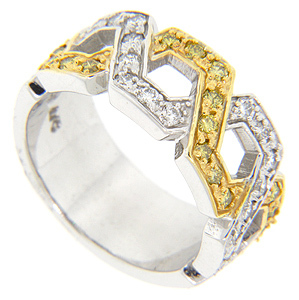 Measuring 8.8mm in width ring holds .35 carats of yellow diamonds and .31 carats of white diamonds. Size: 6 1/4. We can resize.